Very rare advance CDR recording with three bonus tracks. 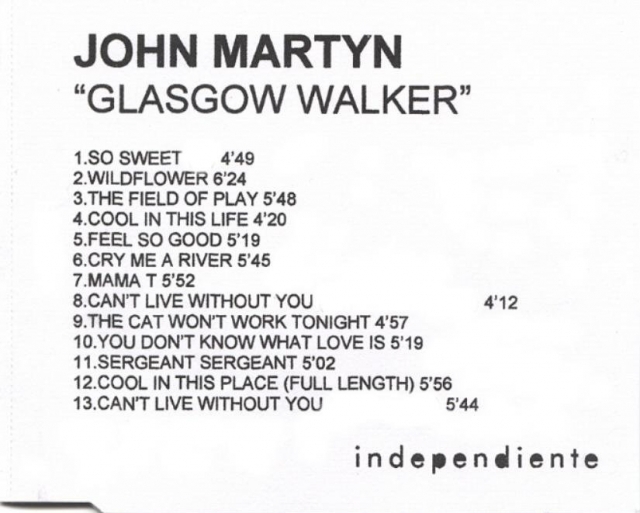 The last three tracks are the most interesting: one unreleased song (Sergeant, Sergeant) and two longer versions of regular Glasgow Walker songs. Cool In This Place is an alternate take of Cool In This Life. With 5:56 this version is longer and probably includes a guitar solo. Can't Live Without You is an also longer a longer alternative version (5:44) of Can't Live Without.